Baking is the perfect thing to do on a Bank Holiday. 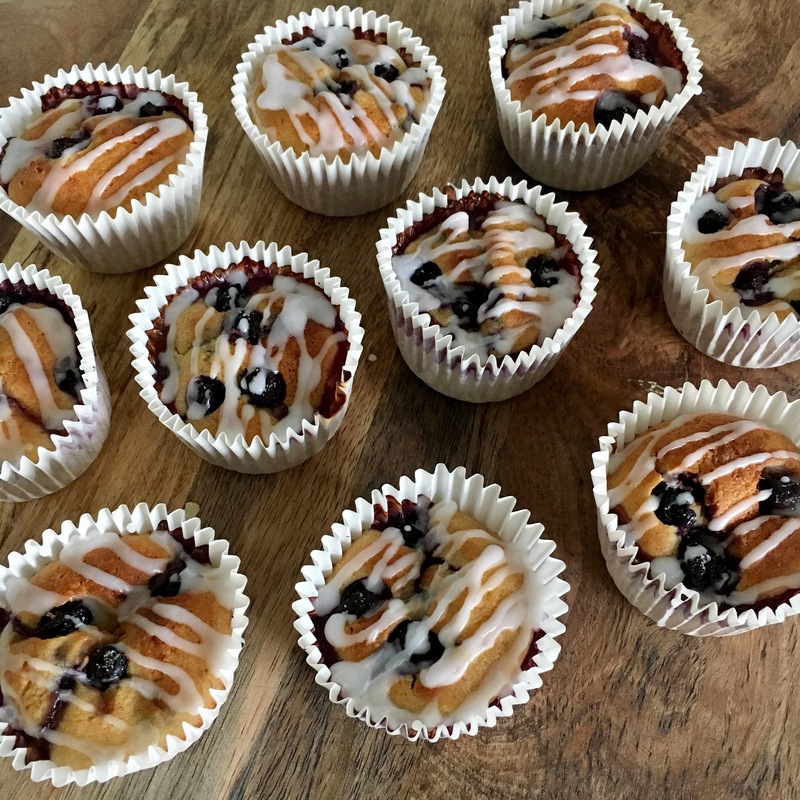 I had some over ripe bananas so I wanted to make some fairly healthy muffins with a little twist so I added blueberries. If you like the sound of these muffins then here is the recipe. 2. Sift the flour into a mixing bowl and add the banana and blueberries and mix together. 3. In a separate bowl, whisk together the honey, egg and milk. 5. Bake in the oven for 25 minutes, until they are golden. When the muffins have cooled I drizzled some icing over the top to decorate them. They are the perfect snack when you want something sweet that isn’t full of sugar. What’s your favourite thing to bake?